“Or, The Wedding Song. I’ve sung it at a few weddings and it’s actually fairly inappropriate when you think about it.” It certainly doesn’t sound like a match made in heaven that’s for sure. Jon learned this from the Coppers and it was originally sung by John Copper and Jon Dudley on the first Coppersongs LP, then by the Young Coppers on their Passing Out CD. It’s printed in The Copper Family Song Book and in Bob Copper’s book A Song for Every Season. Bob and John Copper also sing it on The Folksound of Britain. You’ll find it on the Topic CD of the same name subtitled Early Recordings Of The Copper Family Of Rottingdean with that version featuring Bob, John, Jim and Ron. Phew! I think that’s enough Coppers for one post, but this song does seem to be forever associated with the Sussex family. Anyway there seems to be another verse to this, which I’m sure Jon misses out at weddings, as the lass in question remains stubbornly unyielding in wedlock too. You’ll find the extras on Mudcat including an amusing and now curiously dated gender swap involving telephones. This entry was posted on Thursday, July 17th, 2014 at 12:00 am and is filed under News. You can follow any responses to this entry through the RSS 2.0 feed. You can leave a response, or trackback from your own site. Been offline for two weeks so just listened to the last 14 songs. Wonderful stuff. Every one a gem, including Mercedes Benz. More about * from the Vaughan Williams Memorial Library at the English Folk Dance and Song Society. There are 17 records of Come Write Me Down in the Library. Does she? The Coppers (and all the versions listed on Mudcat) end with “and that same girl who said him Nay/She’ll comfort him both night and day” or words to that effect, which sounds like a happy ending to me. Piers Cawley has an additional verse, but it’s definitely a happy ending (and unCopperishly smutty). I’m with Phil on this one. It’s a bit Keys of Canterbury-ish. The lass in question wants more than a handful of gold in exchange for favours, but sthg more constant, so it sounds like a happy ending to me too. 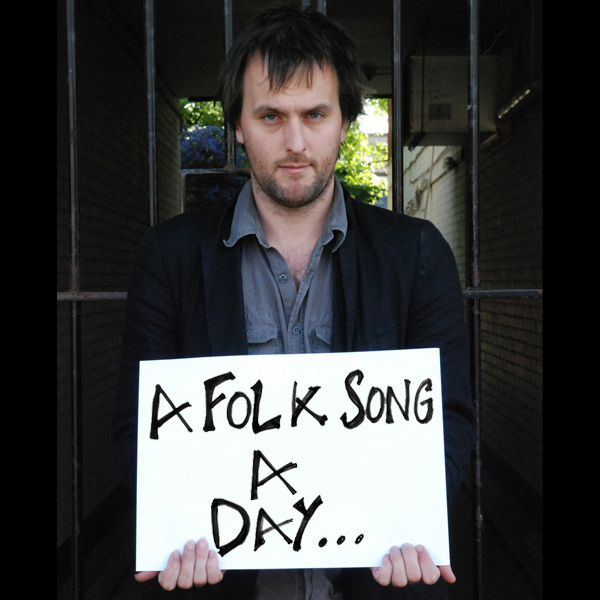 I wondered if this folk song blog thing might take off. Lots of folks out there doing it on YouTube and Myspace – but I’ve not seen the same thing in Blog format. And I think it really works, indeed better than either YouTube or MySpace IMO. It won’t be long before we’re all at it. 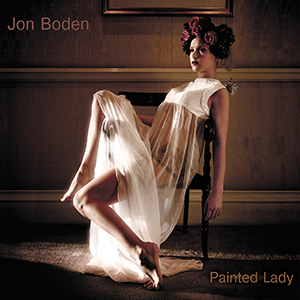 Yes, this blog works really well, and I admire Jon for his performance and determination. I’m looking forward to get my daily dose of folk for months to come. But it’s no wonder that this blog works better than YouTube, it’s just a quality thing. Here I know that I’ll get something interesting every day; on YouTube I’d have to search long and hard to find a pearl every day amongst tons of mediocrity. *smile* I think we’re communicating at cross purposes. 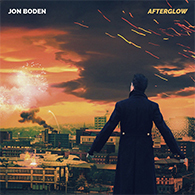 Of course THIS blog works well because Jon Boden is Jon Boden rather than your regular amateur enthusiast, so as you say, the performance is likely to be of a high quality (at least for those who don’t dislike his style). Personally I quite like to follow other amateur’s/semi-professional’s output online. The quality issue doesn’t bother me too much, as I enjoy both amateur ‘social singing’ in 3D and it’s virtual correlate on community sites like YouTube etc. What I was getting at is the blog format works really well, and wondered if it would inspire amateur/semi-professional singers to try doing the same, as many already do on other sites. For my own part, if JB inspires folk enthusiasts to follow his lead in folk song blogging, that could only be a good thing for these old songs and encouraging more people to sing them. Evidently JB’s example has indeed inspired others to try something along the same lines themselves – at least so far it appears to have inspired Piers who Phil flagged up there. And I’ll be following both of them now. @Phil – a better link to my version of The Wedding song is probably the one on my blog – http://www.bofh.org.uk/2010/07/12/come-write-me-down, which is where I’m writing up provenance and whatever else springs to mind about the songs in my repertoire. So far it’s been great fun to do and I’d heartily recommend the process to everyone. This is a lovely Copper’s Song…………..another old amateur having a go on this link! @ Muzza: I have been watching you again on Mainly Norfolk – well done. Very serious looking though. Messaged you on FB, Diana. Muzza, where art thou? Missing thee! Will soon know where ‘she/McDooley got it/the brick’ from Ameriky’s Leo Feist Collection! Thanks Jane – got it and replied. @Jane………….old muzza always lurking in the background……..trying to recover from a ‘man cold’ and a soaking outside Jane Austen’s house when attending Alton Folk festival last weekend. Spirits revived a little when I watched ‘Darling Buds of May re-run (itv3) Tuesday, and saw them relaxing in a sunlit garden and skipping in a sundrenched meadow…then reality kicked in and I lurched out into the rain for another soaking morris night!……back to bed now. @Muzza: Get well quick. You have been deluged with the rotten rain ever since Teignmouth and then you were under canvas – it really isn’t surprising you have a cold. @Diana…..OOOer Matron…I have a cough to die for…..
and I thought it was getting better(until a bad day yesterday)…but hey…..much better today and the sun is shining……..I feel like finding me penknife and strolling down the garden to murder somebody……and writing a song about it……oh drat…tomorrow’s song man has beaten me to it!